Rejection Proof (2015) teaches you how to face rejection head-on and embrace the journey of self-improvement, both inside and out. 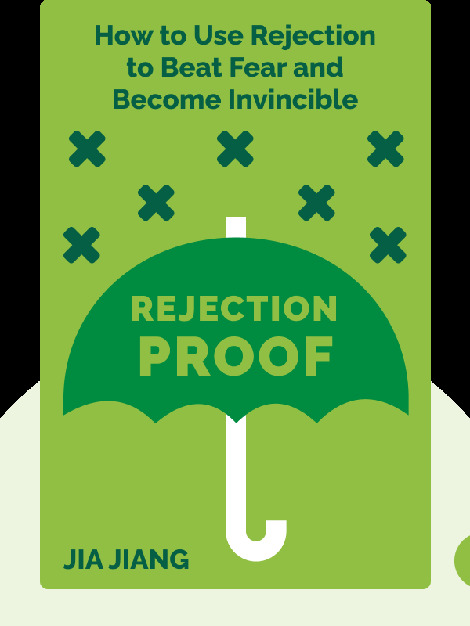 Using Jiang’s “rejection toolbox,” you’ll come to a better understanding of rejection, learn how to hear “yes” more often and discover the benefits of getting rejected. Author and entrepreneur Jia Jiang is the founder of the popular blog and YouTube series, 100 Days of Rejection. 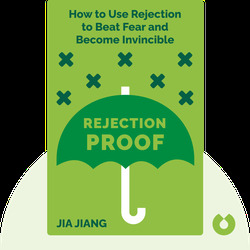 Jiang is also the creator of an online course and community that teaches others how to overcome their fear of rejection.